Two National Parks, One National Historical Park and One Awesome Recreation Area! Washington offers some incredibly different scenery from the rest of the US, even the Pacific Northwest. Here, you can go from snow covered peaks on Mount Rainier to beaches covered with driftwood just asking to be carved or at least photographed. Whether you’re a hiker, a photographer or just a nature lover, Washington has a lot to offer. Olympic National Park encompasses nearly a million acres of vast wilderness on the Olympic Peninsula, in the northwest corner of Washington. This park protects thousands of years of human history, and several distinctly different ecosystems, including glacier-capped mountains, old-growth temperate rain forests, and over 70 miles of wild coastline. It is diverse and beautiful with an incredible range of precipitation and elevation. Designated as both a World Heritage Site and an International Biosphere Reserve by the United Nations, the park serves as a living laboratory for scientists and students, as well as an incredible natural playground for visitors. Millions of people visit Olympic each year to experience its beauty, diversity, and many opportunities for adventure, exploration, and recreation. You can hike short (1/4 to 1 mile) ranger-guided trails or go off for much longer and more challenging hikes to view the vast peaks of Mount Olympus. Mt. Olympus (7,980 ft.), the highest in the Olympics, is one of the most spectacular areas in Washington. Climbing here is only for experienced glacial climbers with proper equipment. However, for most people Hurricane Hill is 1.6 miles one way and begins at the end of the Hurricane Ridge Road. The rough paved trail gains about 700 feet in elevation, giving panoramic views. This trail is also close to the visitor center which offers a large menu for a reasonably-priced lunch and spectacular views right off their decks. For more information about things to do, including maps and current alerts due to forest fires, see their website. Mount Rainier National Park offers a glimpse into glaciers where you can hear the ice of the glacier crack. Reaching 14,410 feet above sea level, Mount Rainier stands as an icon in the Washington landscape. An active volcano, Mount Rainier is the most glaciated peak in the contiguous U.S.A., spawning five major rivers. Sub-alpine wildflower meadows ring the icy volcano while ancient forest cloaks Mount Rainier’s lower slopes. Wildlife abounds in the park’s ecosystems. Plan a hike or a serious climb as you prefer. Check out all there is to do here. San Juan Island is well known for its splendid vistas, saltwater shore, quiet woodlands, orca whales and one of the last remaining native prairies in the Puget Sound/Northern Straits region. San Juan Island National Historical Park is composed of 2,141 acres of woodland, prairie and saltwater shoreline in two units on San Juan Island, one of the 172 named islands and reefs in San Juan County, Washington State. But it was also here in 1859 that the United States and Great Britain nearly went to war over possession of the island, the crisis ignited by the death of a pig. The dispute is perhaps the best-known period in island history. But the park also encompasses a rich and diverse environment that cannot be separated from the island’s 3,000-year human history. Long before the arrival of Europeans, the island sheltered a thriving culture attracted by its temperate climate, rich soil, abundant timber and marine resources. These same attributes lured Spain, Great Britain and the United States. Each explored, charted and named the islands while staking overlapping claims to the Oregon County– the present states of Washington, Oregon, Idaho, portions of Wyoming and Montana and the province of British Columbia. You can learn all the details of this fascinating chapter in history and more about the park on their website. A jewel in northeast Washington, this park is worth the 5½ to 6 hour drive east from Seattle if you can make the time. In 1941 the Grand Coulee Dam was built on the Columbia River as part of the Columbia River Basin project, creating a 130-mile long lake. Named for President Franklin D. Roosevelt, Lake Roosevelt National Recreation Area provides opportunities for boating, fishing, swimming, camping, canoeing, hunting and visiting historic Fort Spokane and St. Paul’s Mission. Olympic National Park: There are 16 campgrounds in Olympic National Park, although they do not have water or electrical hookups. Those amenities are offered at the two concession-operated campgrounds: Sol Duc Hot Springs Resort and the Log Cabin Resort. Check the websites for more details. Mount Rainier National Park: There are four campgrounds in Mount Rainier National Park, as follows: Cougar Rock in the SW section of the park; Chanapecosh in the SE section; White River in the NE section and Mowich Lake in the NW section of the park. Check the park’s website for details. San Juan Island: Both park units–American Camp and English Camp–despite their names, are day-use only. For an up-to-date list of lodging properties check the San Juan Islands Visitors Bureau website. Lake Roosevelt National Recreation Area: To find out more about camping here and all the activities that abound in eastern Washington’s beautiful jewel, check their website. 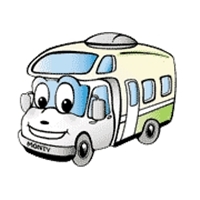 You can rent an RV from El Monte RV in Vancouver/Bellingham, WA and drive to the Olympic Peninsula to start your adventure. This entry was posted in National Parks, Washington RV Camping Vacation. Bookmark the permalink.